If you’re like many Christians, reading the Bible may create more questions than answers. Some parts of Scripture can cause confusion rather than clarity. If that confusion goes unchecked, it can affect our faith in God and our relationships with other people. We enjoy helping people address their confusion and see God more clearly than ever before. 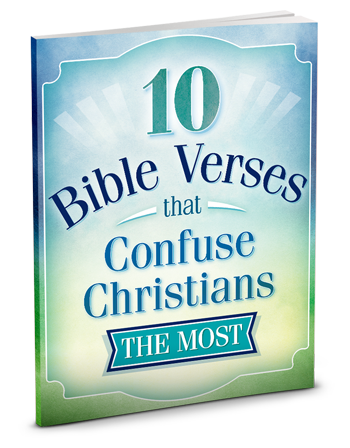 Download our free resource the 10 Bible Verses that Confuse Christians the Most. This concise 12-page guide tackles the perplexing passages listed above plus several others.